2 Sketches 4 U is having an ultimate card show down. I probably have no hope because there are so many wonderful cards that have been submitted. I used this sketch to work out a card that has been rattling around in my head for a while. I am always in need of a cute encouragement card and usually (gasp) end up buying one at the store. 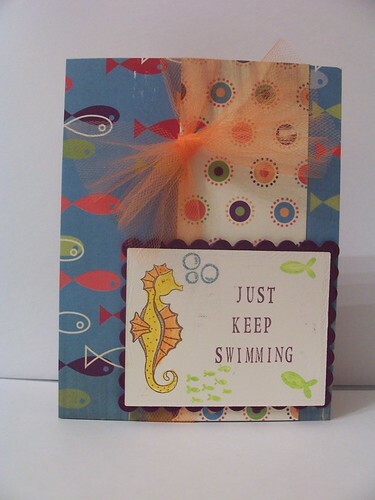 The part of Finding Nemo when Dory sings "just keep swimming, swimming, swimming" has been stuck in my head for a few weeks now and I wanted to use it on a card. 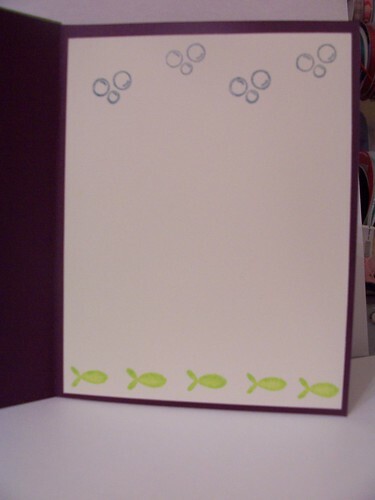 love the use of cosmo cricket paper, such a fun and cute card! Love the papers you used and great inside. so cute! love the little fishies! I love this, the net is great and goes so well with the papers.